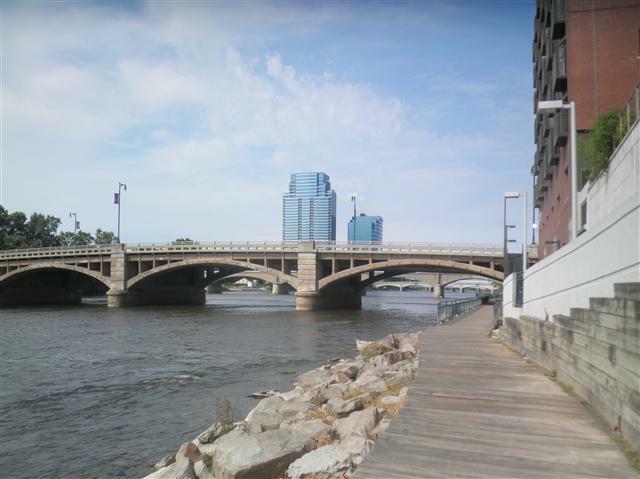 Grand Rapids is one of many communities trying to make better use of its water front. In Michigan, at least one in five jobs is tied to water. That’s according to a new report released today. Transportation, ports, and shipping contribute more than 65,000 jobs and $3 billion to the economy each year. The Michigan Blue Economy report was put together by the Annis Water Resources Institute at Grand Valley State University and the Michigan Economic Center at Prima Civitas. Alan Steinman co-authored the report and directs AWRI. He says the economic impact will likely grow as more communities try to improve and better use their waterfronts. “As communities start to – instead of turning their backs to the water, turn their fronts to the water – all that will generate additional revenue,” he said. Steinman makes a number of recommendations to use Michigan’s water resources better and more responsibly, including a fund for new water technologies and creating a new state office of water to help revamp regulations and encourage new water technology businesses. He says they’re hoping to get people to think about water use differently. like separating high-quality drinking water from the water that’s used to flush your toilet or water your lawn. “In 50 years people will turn back and say ‘can you believe they were using this incredibly valuable resource to flush their waste?’ I mean it’s insane,” he said. SAULT STE. 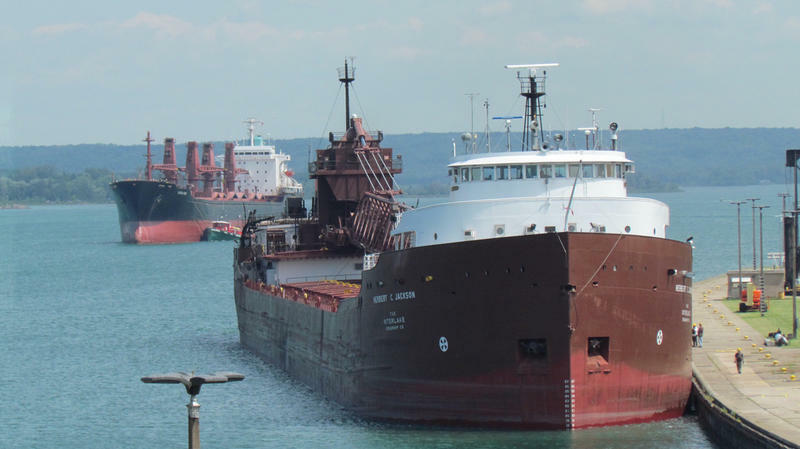 MARIE, Mich. (AP) - Another cargo shipping season is underway on the upper Great Lakes. The navigational lock complex at Sault Ste. Marie was to open Wednesday just after midnight after being closed since January 15 for routine maintenance. The Detroit Tigers weren't the only ones to hold an Opening Day. 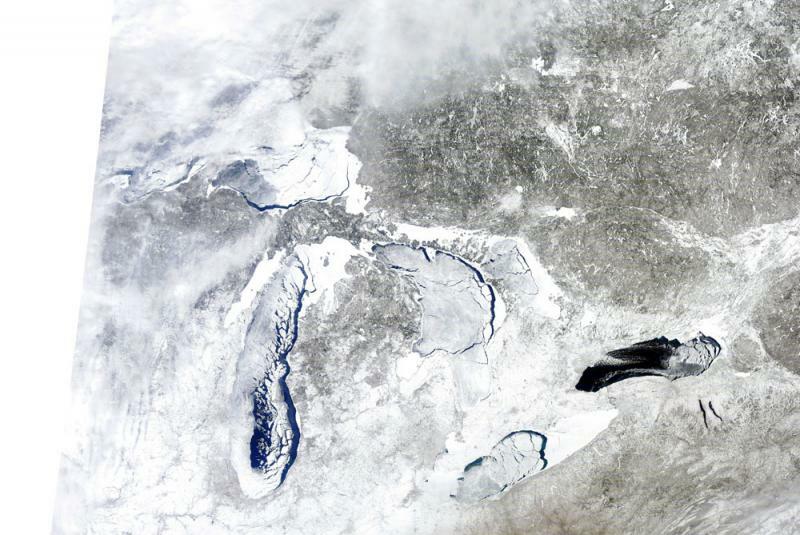 The Great Lakes shipping season officially opened March 25. And, unlike Opening Day at Comerica Park, this one is much less well attended. No surprise: The near-total ice coverage on the Great Lakes has led to a very slow start to the shipping season and a whole lot of ice-cutting for the U.S. Coast Guard. Mark Gill is the director of vessel traffic services for the U.S. Coast Guard in Sault Ste. Marie, and he joined us today.